Literature review is as easy as pie. You take a book, supposedly, read it, then write is it good or bad. What is so difficult about that? Well, sorry to upset you, but the stuff is a bit more complicated. If your review of literature is to be submitted as a piece of academic writing, not as a comment at a forum, you’ll have to put some work in it. Don’t get scared, though: our tips will help you understand how to do a literature review easily. Read on and you’ll catch the idea. Literature review outline is similar to the outline of a standard academic paper. It obviously consists of introduction, main body and conclusions. However, it seems to be important to define literature review particularly by contrasting it with a research paper. 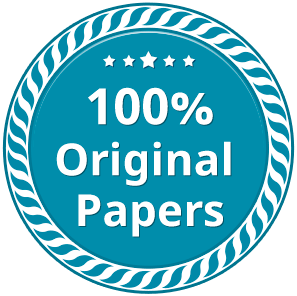 The difference between a research paper and a literature review is that a research has to provide an argument, that you have to prove with the help of you literature. On the contrary, literature reviews provide your summary and synthesis of ideas, given in the sources you are to analyze. Although they require processing and analyzing material, you don’t have to provide your contribution to the issue. It seems to be quite a clear literature review definition. Now, when you know what is literature review, the next question arises: how do you write it? Well, as PapersMaster stated above, you need an introductory part, main body and concluding statements. Introduction should include a general overview of the field, that your literature is related to. Here you also need a thesis statement, that serves a theme for your review. The main body contains summary of the resources you’ve analyzed. Having summarized them, you are to present analysis of these resources: you should reflect, whether this literature conveys similar or different ideas, how they change chronologically (in case your material represents different stages of development of the field), whether they represent a certain trend or demonstrate absolutely opposing points of view. After that, you come to conclusions. A good example of a literature review will be finished with the outline of your findings and prognosis of future development of the topic. You might also suggest your view of future discussion on the topic. All in all, you can look through a literature review sample in any other scientific research paper, where it is an essential element. Well, now you’ve got the knowledge. Feel free to apply it! Or contact us for help. Good luck anyway!